Subject: Plate : 'Moorin - Arabier - Arabische vrouw'. 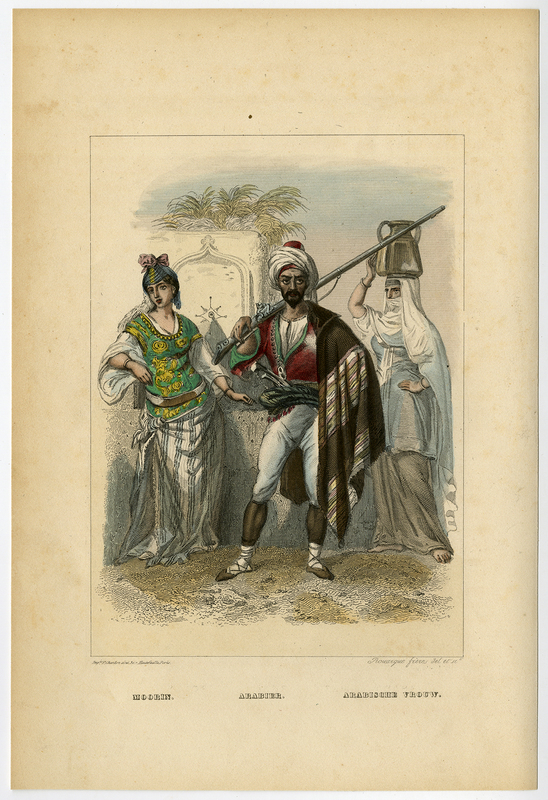 This plate shows 19th century costumes of a Moorish woman, an Arab and Arabian woman. Condition: Good, given age. Minimal foxing in the margins. General age-related toning and/or occasional minor defects from handling. Please study scan carefully.